Visit Store For Updates !! TESTED AND PROVEN ON 100s OF PRODUCTION CHARACTERS !! Now AHSS Comes With 'No Disc' Edition. And Skinning Automation becomes much easier Without Discs.. I am sharing my recent R&D results here..
AHSS is purely my personal work.. The critical part in any skinning is Division Of Regions according to Joints. Hyper Skinning can divide the skinning regions easily and Its weighting system is unique. And Hyper Skinning has joint level control with attributes 'blendMethod' and 'blendValue'. It's Hyper Smooth and as_SmoothNearest options are unbeatable. After Hyper Skinning, only maya skinCluster remains. No need of additional deformers. 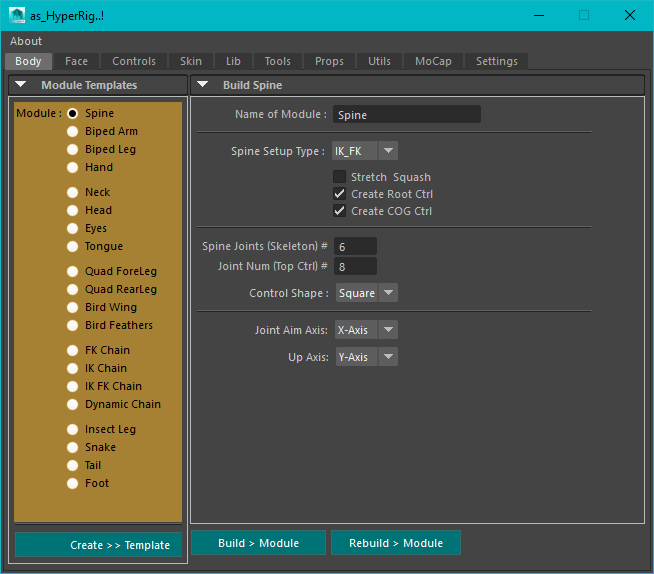 Hyper Skinning uses Maya's default 'Smooth Bind' option. After hyper skinning, rig is as light as earlier with updated skinning. And it's unique algorithm, preserves volume at different regions like elbows and shoulders..
Now Hyper Skinning System comes with Advance feature : Solve Fingers (Additional treatment for fingers' skinning). Now it becomes more powerful with its advance features.. Solve Fingers & Smooth Nearest. I have utilized the Great Dane model in this presentation which is downloaded from creativecrash.com. Special Thanks to Chris Baker for such a awesome model. 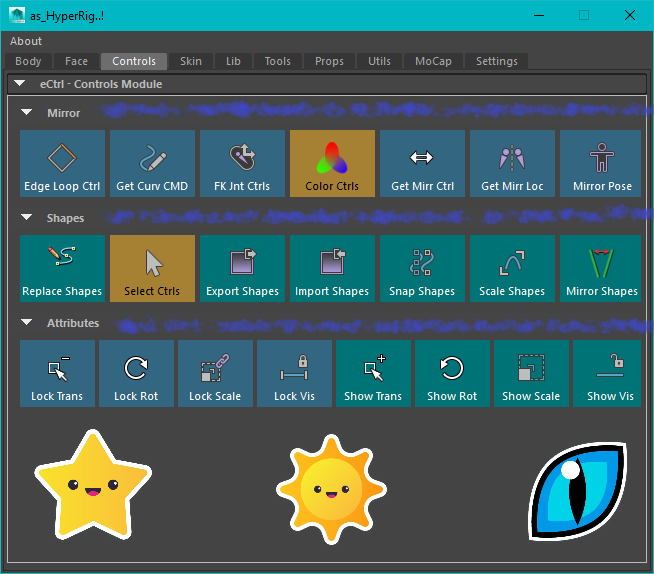 as_EasyExp (Facial Rigging) : Lips N Eyes Auto Rigger with Auto Skinning For Lips .. Learn how to create your own tools to speed up your workflow with the power of Python Scripting. **Yes Life Is Short, Hurry ..
** More python tutorials here ..